Prairie motorcycle legend Bernie Nicholson, of Nicholson Bros. Motorcycles, was inducted into the Canadian Motorcycle Hall of Fame on Oct. 27. Together with nine other individuals and one organization, Nicholson was posthumously inducted into the fledgling Canadian Motorcycle Hall of Fame (CMHF) at a ceremony and banquet in Toronto. This is the second year (2007) for inductions, and Nicholson joins the likes of Trev Deeley, the man behind Deeley Harley-Davidson Canada and Calgary’s own Walt Healy (supershowevents.com/museum/index.html). 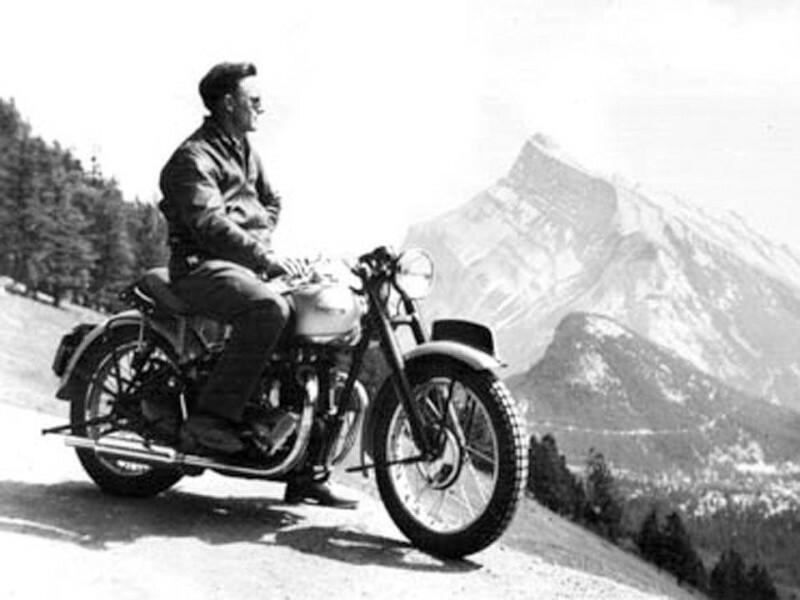 In its mission statement, the CMHF vows to record and preserve the history and heritage of the motorcycle and motorcycling activity in Canada; and to recognize, honour and celebrate those who have achieved excellence and or made significant contributions to the well being and advancement of motorcycling in Canada. Nicholson, together with his brother Lawrence, imported their first British machine to Saskatoon in 1931. In 1933 the pair established a well-respected shop in Saskatoon, and went on to sell and service almost every make of British motorcycle until the early 1970s. But perhaps Nicholson’s greatest contribution to motorcycling was his writing of seven editions of Modern Motorcycle Mechanics, a book that became renowned the world over. He wrote his first edition in 1942, and published his last in 1974. More than 100,000 copies of Modern Motorcycle Mechanics sold, making the book something of an unheralded Canadian bestseller. Nicholson retired to Calgary in 1977, and died here on Dec. 17, 2001. J.B. “Bernie” Nicholson passed away in 2001.